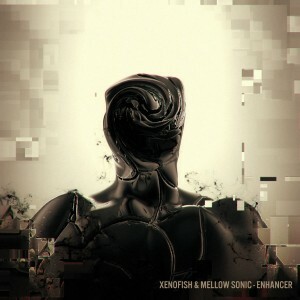 Xenofish returns to Ektoplazm with his fifth album, Enhancer, jointly produced by fellow German producer Mellow Sonic. Whereas previous works strayed more into psychedelic drum ‘n bass territory this one marks a return to high-energy psychedelic trance without completely abandoning breakbeat influences. True to form for these artists the sound of the release is characterized by haunting twilight melodies and strong science fiction atmospheres. Mastering and artwork by Christian Becker. MP3 Download | FLAC Download | WAV Download · Download count: 8,495. AWESOME SCi FI ATHMOSPHERE !!! Cybernetika, Mellow Sonic & Xenofish, they are definitely the gods of Twilight and Psybreaks !!! The album is cool, enjoyable, I liked it. For some reason Refractor made me think of some kinda horror movie (night of the living dead to be precise). the synths totally give me a feeling of the 1990 remake of night of the living dead soundtrack. surely if you take away the kickbass and stuff it could be a horror movie theme. Love the sound and quality of production, great release! The kicks and snares are that cliche ‘pro sample pack’ stadium DNB sound, but I like the bass tones and synths a lot. Good album, overall.